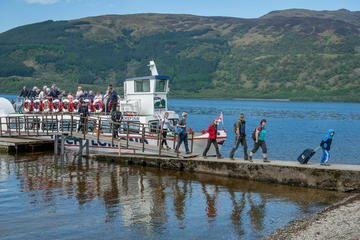 Explore the remote eastern shore of Loch Lomond at the hamlet of Rowardennan with time ashore to take in the views. This pretty village of Rowardennan nestles at the foot of Ben Lomond. Inaccessible by public transport this wee village is well worth the visit to enjoy the tranquil loch shore, to rest on the small beach or to take a paddle.